Hello everyone. Todd is off this week, recovering from too much partying at MagFest, or just with gaming in general over the recent holiday. So it is up to me, your fearless editor, to pen another guest column, like I did for Chella a couple weeks ago. I sometimes wonder why I end up always going on duty when everyone else is taking some time off? But relief pitcher blues aside, I wanted to write about something positive this week. And of course, to do that, I need to start with something negative. 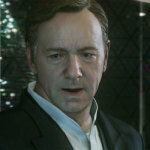 As videogame reviewers, we tend to see games through a harsh lens, though I think that is a trait of gamers in general. We expect great things from our favorite form of entertainment, and when that does not happen, it upsets us, and rightfully so given the high cost of games these days. Taking it a step further, when a developer misleads us (notice I am not saying lies to us) about the capabilities of a game, it’s even worse. There is nothing like a bunch of angry gamers filled with vitriol when their blood is up over some slight or a developer’s misdeed. Some of the time, this anger is justified. People went crazy back in 2012 when Mass Effect 3 ended the series with a cookie cutter finale that literally didn’t take into account ANY of the choices that we had made in the series over many years of playing. 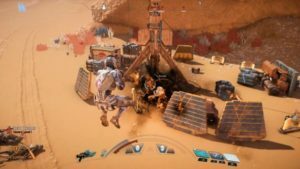 Bioware had promised that our choices would matter, and everyone very painstakingly made choices accordingly, knowing that like the butterfly effect, even the tiniest ripple could inadvertently change the world. Then, after all that, everyone was funneled into the same multiple choice ending. Not only did those little choices like whether to help a missing girl find her parents, whether to let Garrus win the shooting contest, and a thousand other things not matter, but we found that that absolutely NOTHING WE DID MATTERED. Two people with completely different play styles who made completely different choices, like, I don’t know, me and Chella, still ended up at the exact same place at the end of the journey. A binary choice is not how you end an epic series. So the anger was justified. Then we have Mass Effect: Andromeda, Bioware’s follow-up game. It was…alright. It certainly wasn’t the epic space game that everyone was expecting. But these things happen. Sometimes the favored team does not win the big game. Sometimes things don’t work out how we plan or expect. 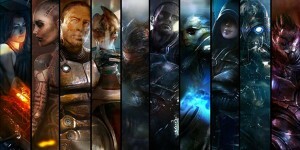 Andromeda was not a bad game, and we were not lied to about what it would or would not do. 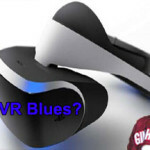 In the end, the developer tried to craft a memorable game, and instead produced a rather forgettable experience that many people did not even bother to complete. But I don’t think any anger is justified in this case. Perhaps we should just, like a father in a 1950’s sitcom, say that we are disappointed. The point is that developers earn the ire of game players. Some of the time it’s justified, and some of the time it’s unfair. But we rarely praise them, or at least do so less frequently. I want to do that now for a smaller firm called Hinterland Studio. 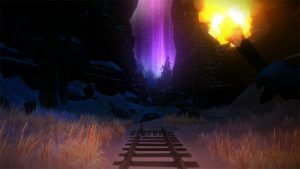 They make The Long Dark game, which I loved so much I not only reviewed it back in 2015, but also did a few Let’s Plays. 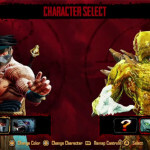 The game was technically released, but was more of a demo or at least a work in progress – but a very good one that was more complete than quite a few so-called AAA titles that have recently come out. 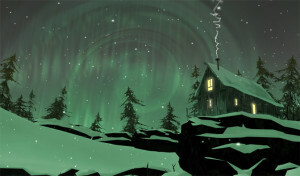 Set in the frigid Canadian wilderness after several apocalyptic events, the game challenges players to survive in a very inhospitable location. 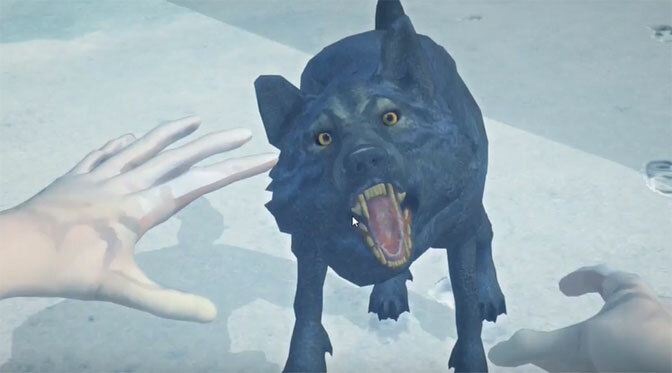 Players can freeze, starve, succumb to injury or infection, or simply get eaten by hostile wildlife. There are two modes of gameplay. The first is a sandbox universe where you wander around and see how long you can survive, with a heavy emphasis on exploration. The second is a narrative-driven story called Wintermute, which is the subject of this column. Wintermute is designed to be released in five episodes. It’s like the sandbox mode in terms of gameplay, but also has some interactions with other survivors, quests, and side quests as you attempt to find your missing partner after your airplane crashes. There is a lot more going on too. Plots involving government conspiracies, eco-terrorists, escaped convicts, some highly-charged northern lights and other stranger things swirl around you. It’s just that you can only investigate them when you are not freezing or starving to death, or being chased by hungry wildlife. The first two episodes of Wintermute came out about a year ago, and while they were fun to play, there were several problems. It currently has a 77 Metacritic rating, mostly positive reviews on Steam, and earned four out of five GiN Gems from us – with me as the reviewer. So what was wrong with the game? For starters, the fact that there were only two NPCs (three if you count someone who you meet right at the end of episode two) in the game, so it felt very empty at times. The NPCs who were there acted more like machines, giving out collection and FedEx quests along the lines of picking so many berries or attending a makeshift survival school. They were a bit boring and also mandatory, if not counterintuitive to the plot at times. There were also some questionable design choices. The developers didn’t want survivors going around and turning The Long Dark into a sort of wildlife first person shooter, so they severely limited the amount of ammo you could find in the game for the various weapons, and also made things like hunting rifles surprisingly inaccurate to the point where you could not hit a deer with any reliability if it was 50 feet from you. 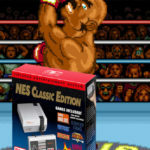 There was also one particular quest involving a bear that was glitchy as all hell. You had to confront the bear five times, and were almost guaranteed to glitch at some point in the quest chain. There were a few other problems too, like side quests that depended on these odd northern lights, that only randomly showed up at night in the game. People reported (with videos to back this up) waiting for weeks or months before it would show up and enable them to move forward. I personally sat in a frigid trailer waiting for over a week of game time. Despite the flaws, most people, myself included, really loved the game. It was different from other things out there. 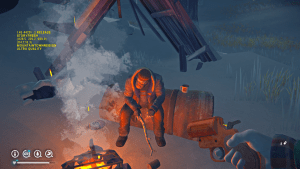 At the time, survival type games were rare, and The Long Dark was somehow thought-provoking and slow-paced while also being quite exciting. Financially, the game was a huge success for the developers too, so everyone thought episode three would be coming out soon. But a year passed and that never happened. It turns out that Hinterland was not satisfied with Wintermute and how it turned out. So instead of pushing ahead with a flawed product, even though that would certainly have earned them more money, they went back to the drawing board to rework the entire experience. That includes a total redo of episodes one and two, and carrying those improvements forward into future installments. So here is an example where there was no outcry from players, but a developer decided to delay creating more episodes and instead focus on making the core game better anyway. Thankfully, Hinterland Studio is independent, as I’m sure quite a few publishers would not have been cool with that decision. Players ended up having to wait even longer for the next episode, as this pushed episode three back even more, and we are still waiting. And saved games from the original episodes were made invalid, but I think the tradeoff was good one. One of the new folks from the remade The Long Dark game. A strange man who might be God himself. Having played the new Wintermute, I can say that Hinterland’s mission was successful. The Long Dark is a much better game now. Quests have been streamlined to match the plot of the game much more closely. Most of the survival school type quests have been made optional, and something that you can probably pickup along the way as you travel. There are now actual people in the game beyond the quest givers too. Not a ton of people as that would go against the plot of the game, but a few here and there, including a few who are basically evil, so the world feels much more alive and real. And quest givers also seem more animated, even giving some bone-chilling lines and commentary, now delivered by skilled voice actors. Lot of little things also changed. Weapons are much more accurate for one, and there is more ammunition scattered around previously civilized areas, as one would expect from a hunting community. 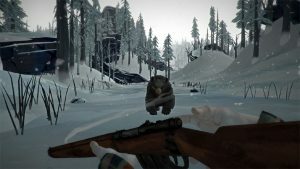 It makes looting and exploring much more fun and rewarding, and lets us fight back when needed against aggressive wildlife (which have been made more aggressive due to events in the game). 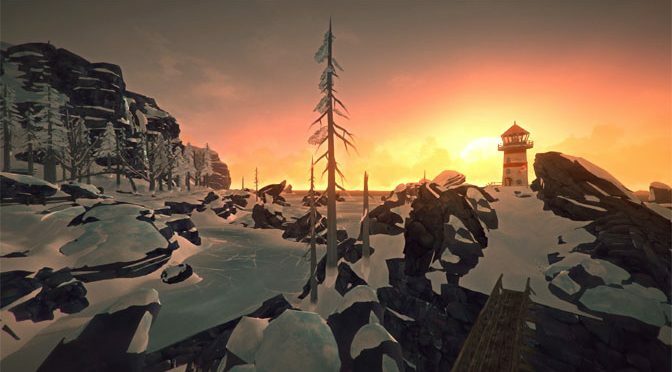 Pick up The Long Dark on a platform of your choice form Amazon! It’s a much more worthwhile experience now. Honestly, I don’t mind replaying episodes one and two again as it’s almost like a different game. 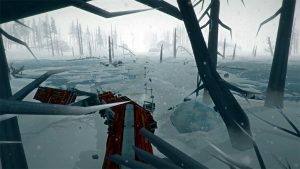 Hinterland’s efforts with The Long Dark are a great example of a developer really trying to do right by the gaming community. They seem to genuinely care about delivering a top quality and fun experience, and even delayed an immediate financial gain in order to ensure that happened to the best of their team’s ability. They should be highly praised for that. And, if you have not yet checked out The Long Dark, be sure to give it a try. It might be a cold world, but given the changes, it’s also a pretty hot title.